When your pet cat goes missing, it can be a very stressful experience. It is like losing a member of your family. Owners of lost cats fear for the wellbeing of their pet. There is a risk that the cat may not come home or be injured. The most important thing when finding a lost cat is to stay calm, act fast and never give up. Catshave been known to be found weeks or months after going missing. Keep searching every day until it has returned home. 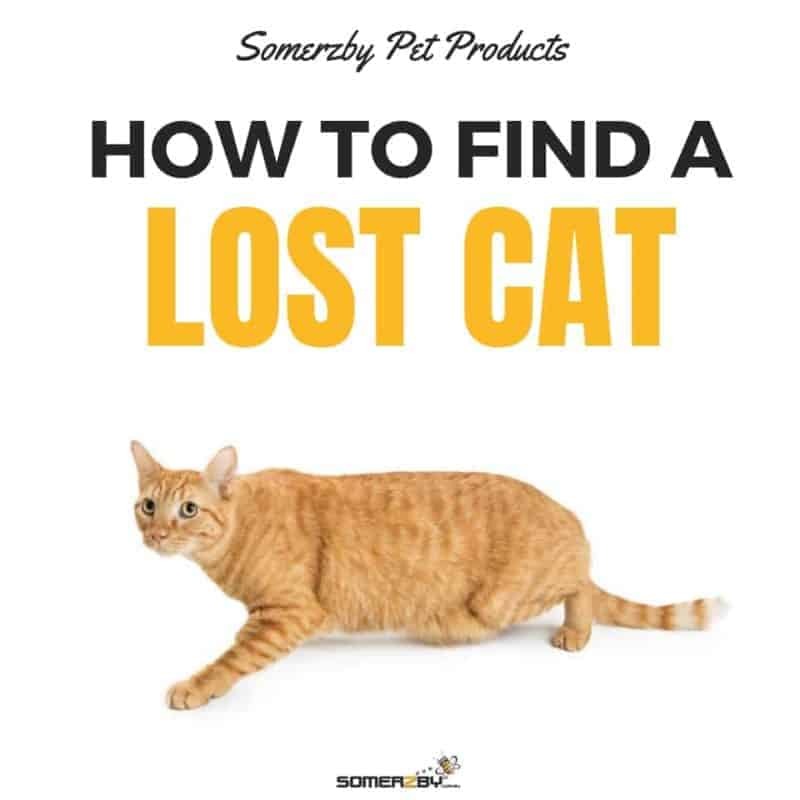 There are countless reasons why your feline friend can go missing. Indoor cats can escape through doors or windows left open, or even manage to pry open exits themselves. Outdoor cats may have left their regular comfort zone and have lost their bearings. This can be because they are scared of noises, traffic, people or other animals. They may have also wandered too far in search of food or following an interesting smell or noise. There are countless places your lost pet could go. However, most cats will follow similar patterns and be in predictable places. 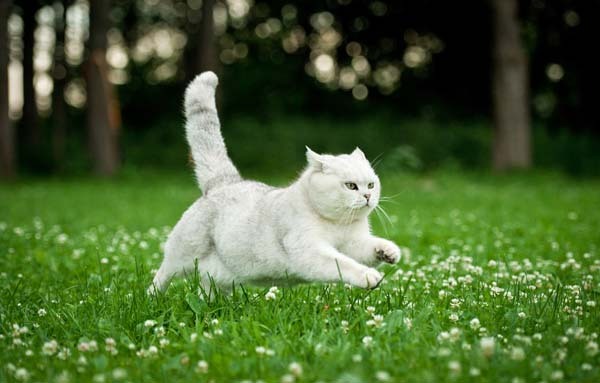 When indoor cats go missing, they are generally found within metres of where they escaped. They will often be overwhelmed by the outdoors and remain close to familiar territory. When indoor cats go missing, they are hiding somewhere. First check inside your house for your indoor cat. They can fit into surprisingly small hiding places and can accidentally get trapped in them. Check each room thoroughly. This includes under chairs, inside cupboards, under beds, inside the garage and even inside arm rests of sofas. If the weather is cool, check warm places such as behind heating appliances, under cars or in vents. Indoor or outdoor cats can be found outside under decks, on rooves, under parked cars, in tall trees, dense bushes or in drains. Most cats, when feeling overwhelmed or lost, will hide instead of run. They can spend long periods of time in one area moving from hiding spot to hiding spot. Therefore, it can be valuable to re-check areas you have already searched. If you have recently moved home, your lost pet may have wandered back to where you were before. Search near your old home. If you have moved very far away, ask your old neighbours or people you know still in that area to have a look for you. Act immediately. The longer you wait, the harder it could be to find your cat. 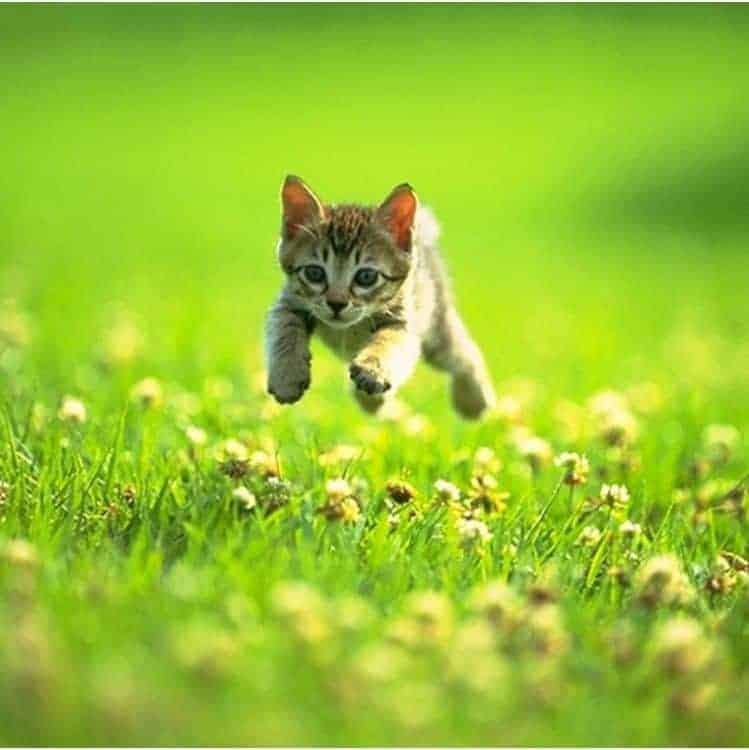 More time passing can mean the opportunity for your cat to wander further. Form a search party (made up of family and friends) and look in all areas you think your cat may be. Start close to your home then expand your search gradually. While searching, bring along your cat’s favourite toy or an open can of food they love. Tapping their food can (or making a noise associated with meal time) can lure your cat to you. Listen for meowing. However, indoor cats will often hide in silence so make your search primarily visual. If your cat normally comes to being called, call its name calmly or make familiar sounds. Knock on neighbours’ doors and ask people you see in the street. You never know who may have spotted your pet cat wandering around! Ask them to keep an eye out for your cat and provide them with your contact information in case they see the cat later on. Searching at night can be affective as sounds can travel further (either the sound of you calling your cat’s name or the meowing you are listening for). Use a torch when searching at night or during the day in dark, small spaces. The torch can catch the cat’s reflective eyes. While you are out searching, have someone stay at home in case your cat comes back. Leave your back door ajar so if your cat comes home and you are not there it can come inside. Put out your cat’s food and water as usual. Call all your local animal shelters and vets to see if they have your lost cat. Leave your contact information with them in case your lost pet turns up later. Animal shelters and vets can get extremely busy and they can forget to call you, so check in with them regularly to see if there is any news. If you know your cat’s microchip number, you can contact the database through which the microchip is recorded to let them know your cat is lost. Australian has five private and one public databases. Write ‘Lost Cat’ at the top in big, easy to read letters. Include a large colour photo of your cat that shows any distinguishing features. Write a description of your cat including size, colour, name and any distinctive traits. Provide your contact information including a phone number. Update your outgoing voicemail greeting to include a message about your lost pet, so people know they reached the correct phone number. Return all missed calls and answer calls from unknown or private phone numbers. Do not include your cat’s microchip number on the poster. If someone decides to keep your cat, it can make it easy for them to change the microchip details. Laminate the poster if you think it may rain or get ruined easily. Put the cat posters up everywhere you can including animal shelters and rescues, vets, grocery stores, parks, telephone poles, community centres, pet supply stores, bus stops and anywhere else near your home where people may see. Post a digital copy of this poster online. Post it on your personal social media and ask friends to share. Also post it on the ‘Lost & Found’ section of Gumtree and on any other relevant websites. 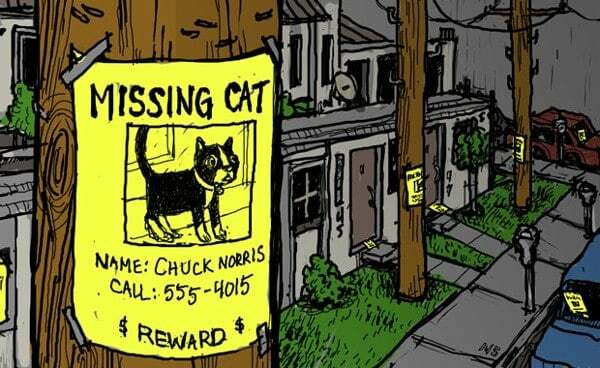 Post a lost cat ad in your local newspaper or community newsletter. 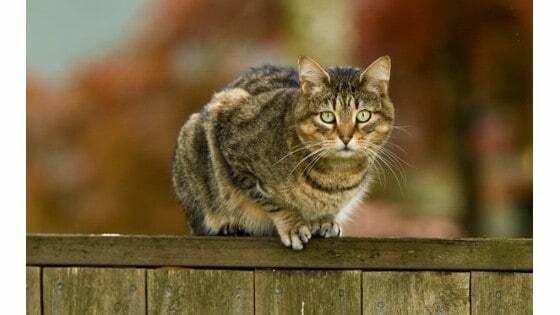 One of the most effective ways to find your lost cat is to set a cat trap near your home. Put items inside the trap that will lure your cat in. Put an item inside that will smell familiar, such as a t-shirt that smells like you or a blanket your cat often sits on. Include one of your cat’s favourite toys. Sprinkle some soiled litter from your cat’s litterbox inside the trap. Your cat will smell its own scent over anything else around and be attracted to it. You can include food and water in the trap however this may attract other cats or wild animals such as rats or possums. Check the trap regularly. Somerzby humane pet Traps require minimal assembly and fold up easily for storage when not in use. The spring-loaded door ensures fast closure without hurting the animal inside. Putting regular actions in place to prevent your cat from going missing is essential. Have your cat wear a collar with a tag that clearly states your phone number. Always have your pet microchipped. Microchipping cats is compulsory in NSW, ACT, QLD, VIC and WA. Microchipping can be done by most vets for a small one-time fee. Always make sure your cat’s microchip details are up to date. This way if your cat is found, its microchip can be scanned and it can be returned to you. Providing your cat with what it needs can prevent it from wandering and searching. Feed it sufficient amounts at the same time daily, to minimise hunting. Play with your cat each day to keep it stimulated. This may lessen your cat’s urge to wander the neighbourhood in search of excitement. If you have just moved homes, keep your cat indoors for a month or so. This will help them realise where their new home is and stop them searching for their old house. If you feel bad keeping your outdoor cat locked inside for so long, consider getting a cat enclosure and run. Somerzby offers cat enclosures of multiple sizes. The Somerzby Catio is specially designed to allow plenty of space for your cat to play and rest in comfort and safety. The enclosure features a sheltered area underneath to protect your cat and their food from bad weather. It can also be very useful to train your cat not to run away. Cats can be trained to respond to their name or “come”. 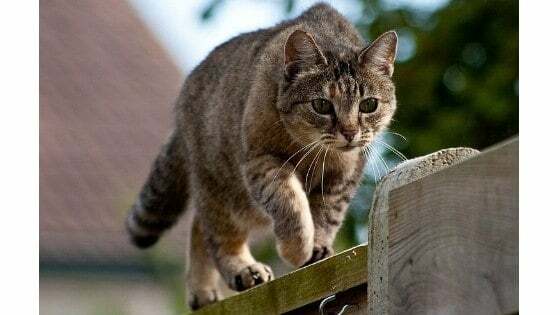 Whilst it can take time and patience, it will be well worth it if your cat escapes outside or runs away. This entry was posted in Cats and tagged find cat, find lost cat, lost cat, missing cat.